The New XT-Series Alternators from Balmar bring together the latest innovations in alternator design to deliver incredible charging power in a compact, Marine-friendly package. New XT-Series Alternator family features a state-of-the-art, braided wire stator design to generate exceptional output in the smallest possible area. 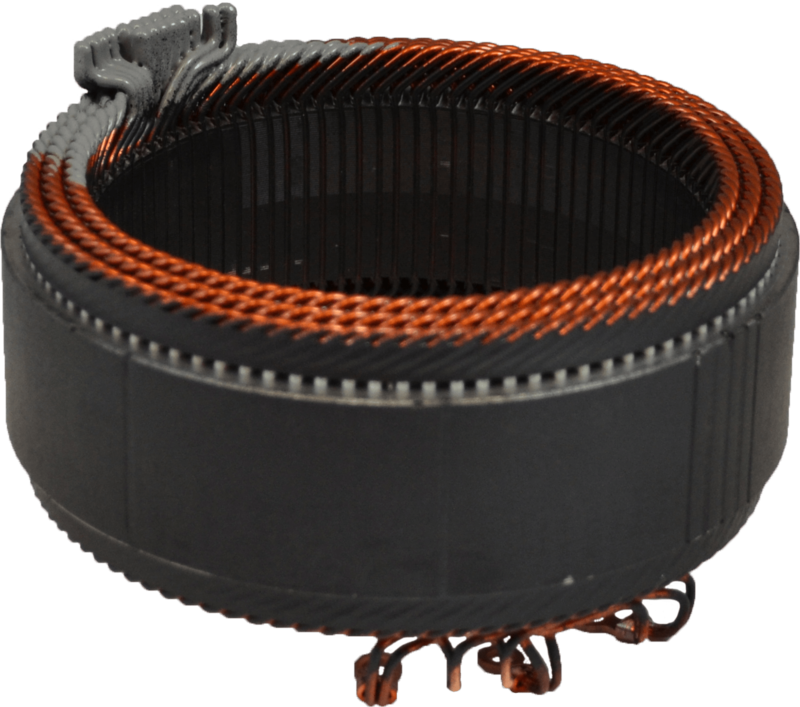 The XT-Series stator achieves an industry-best 85% copper windings density, compared to 70% density for hairpin stator windings and 45% density for traditional s-wound stators. This design achievement results in a more efficient alternator which provides more power at low RPM, higher overall power and cooler operation. Available XT-Series mounting styles are drop-in compatible for WakeBoat and other GM gasoline engine applications and include both 2“ Single Foot (Delco 11Si Style) and Vortec (Delco 9Si Style) designs. Over 60% of WakeBoat run times are at idle speed. Many high current electrical loads are engaged at idle, including ballast pumps, high-output stereo systems and multiple instrumentation loads. Standard alternators only produce about 30A-40A at idle speed, leaving these loads to be serviced by onboard batteries. Excessive draining causes battery sulfation and reduced lifetimes. Dealers report that AGM batteries which should last 5-7 years on these vessels are being replaced annually. The XT-Series Alternator produces over 100A at idle speed – ample power to service all electrical loads with power left over to top-off house batteries. The XT-Series pays for itself in reduced battery replacement costs in just one year! (1) These Alternators contain single stage, internal regulators and are not appropriate for use with Balmar’s multi-stage external regulators. Contact Balmar Tech Service at +1-360-435-6100 for more details.